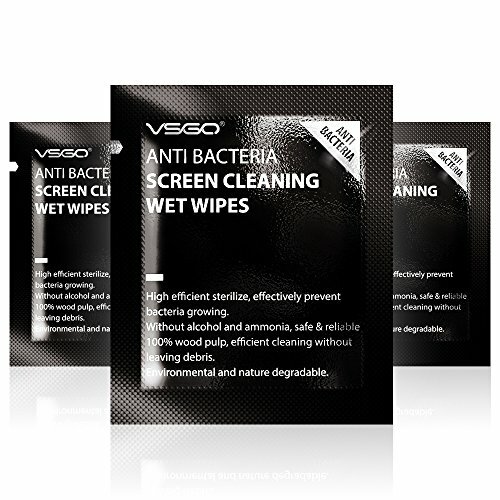 VSGO Wet Wipe Feature: • Each wet wipe is pre-moistened with patent anti-static and antibacterial cleaning solution that provide cleansing protection for your electronics. • Each wipe is made of 100% wood pulp tissue, lint-free. • Our wipes are efficient for cleaning eyeglasses, cell phones, CD, watch, glass, camera lenses, iPad, mirror, LCD / LED / TFT / Plasma screens. • It provides great convenience as each wipe is individually packed Warnings: • Single use only, please use new wipes as needed. • Keep out of reach of children. If you have any questions about this product by VSGO, contact us by completing and submitting the form below. If you are looking for a specif part number, please include it with your message.